I’m a massive animal lover. I don’t eat them. I do animal rights activism. I am trying to befriend the crows in my neighborhood. Yet… I wrote a book with a circus in it. Why? Let me explain. When I first wrote this book, I wasn’t an activist. I wasn’t thinking about animals in a deep manner. I actually included circus animals in every early draft of this story. A few years ago, I personally became aware of the cruelty. When I realized it, I was stumped. Should I still find a publisher for my finished novel? When I got to that bridge–finding a publisher–I asked for the chance to do some revisions, so I wrote most of them out. But I still had questions. Can I create an authentic circus and also drive home that animals aren’t entertainment? Can defend animal rights without making that message take over the book? Can I be true to myself and also not turn off potential readers or their parents? Balancing this tight rope wasn’t easy. In the end, I decided that Bartholomew’s Circus of the Incredible would have animals (after all, Bartholomew is a bad dude). I included very few and tried not to sensationalize them at all (for example, my main character didn’t marvel at them). Then I had the characters to voice their opinions on it. Spartacus discovers the Bart’s history of animal cruelty. Calyxtus, the socially-aware goth, speaks up against the lack of empathy and understanding in choosing animal entertainment. 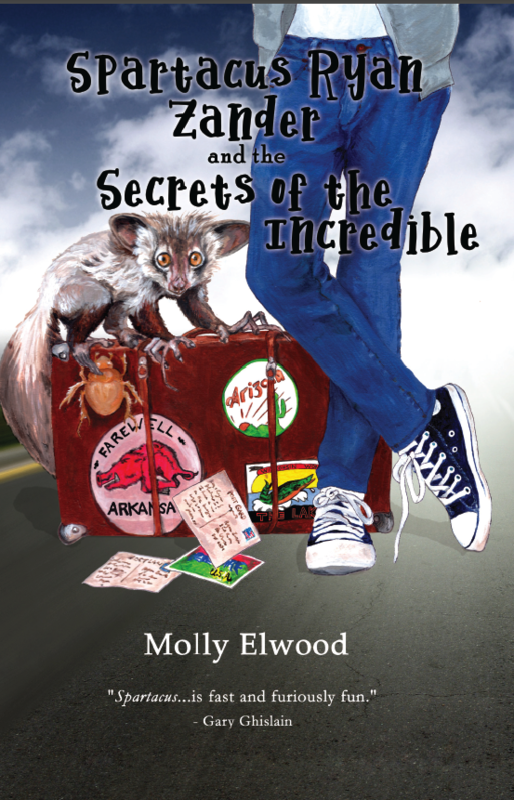 Zeda, a fire-breathing girl from the sideshow (and Spart’s love interest), pours her heart into—and coaxes Spart into—saving an endangered aye-aye from a life spent in a cage. To reach more people, I’ve added a link to my website to raise awareness of the cruelty of animal entertainment. I also plan to create small “did you know?” table talkers or fliers at speaking events. I want to turn this around into an opportunity to educate. I’m curious what others think. Do you have any ideas on how to add this speaking point to book readings or classroom visits without coming across as militant? (That’s always a fear.) Any other feedback? Thanks for reading and I hope you spread the word as well. Skip the animal entertainment. It’s no fun for the animals.